The Brome-Missisquoi-Perkins Hospital Foundation participates in improving the accessibility and quality of health care provided to the population of Brome-Missisquoi by contributing to the purchase of state-of-the-art equipment and the implementation of projects for the continuous improvement of health care and related services. 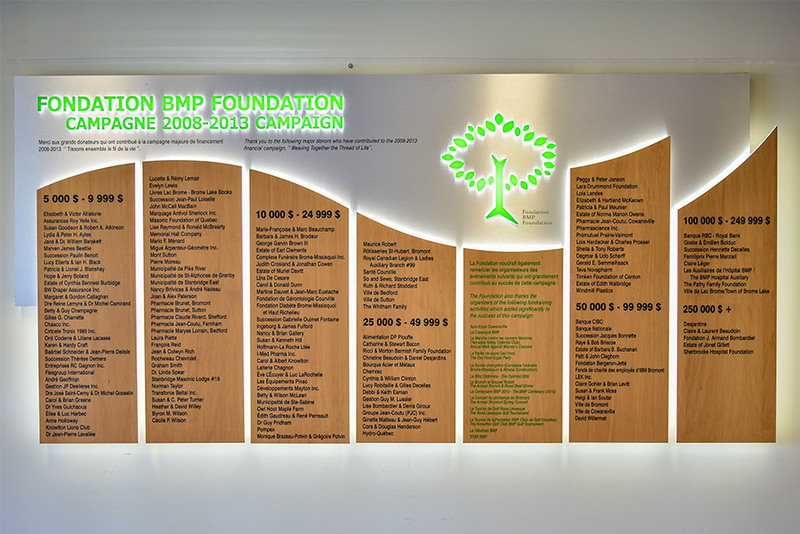 For the 2009-2013 period, the Foundation has committed to invest $10,000,000 to help the BMP Hospital better serve its clientele. Yes, your contribution makes a real difference! 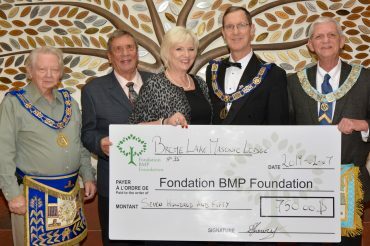 The BMP Foundation has committed to invest $10,000,000 (for the 2009-2013 period) to help the BMP Hospital and the CSSS La Pommeraie (now the Centre intégré universitaire de santé et de services sociaux de l’Estrie – Centre hospitalier universitaire de Sherbrooke (CIUSSS de l’Estrie – CHUS) better serve its clientele. The new outpatient clinical facilities (second floor BMP Hospital) made a huge difference in the care and services provided to patients. There is now space to receive and examine people in a timely fashion, and initiate tests and appropriate treatments efficiently. There is also space for information sessions for patients with complex conditions such as diabetes and/or cardiovascular disease. Furthermore, this new outpatient clinic anchors the multiple satellite clinics offered by out-specialists throughout Brome-Missisquoi, providing diagnostic and therapeutic options previously only available to admitted patients. This is attracting highly qualified doctors and professionals who want to come and work here, providing levels of care that hospitals our size cannot normally offer. Our new scan (for which the Foundation supplied $ 500 000) makes a tremendous difference. For doctors, the improved resolution with a lower radiation exposure of 30% means we can see more, we can see better, and our diagnoses are improved accordingly. We can now detect lesions that we could not see before. Those we could see before, we now see with much greater clarity. For the patient this means greater comfort when being scanned, less exposure to radiation, and less waiting time to have a scan when needed. It even promises the possibility of virtual colonoscopies in the future for a number of our clients. One piece of equipment the Foundation acquired for us recently was a low frequency magnetic pulse stimulator. This has become an important tool for us in promoting healing. We use it to treat skin, muscles, tendons, bones, cartilage . . . a wide array of healing. It relieves pain, often in situations where medication, massage, or exercise have not been as effective. It doesn’t work on everybody, but in many cases its success has been stunning. I think of two patients in particular, a man who had four fingers amputated, and another whose bones were significantly crushed. In both cases the patients enjoyed their first proper night’s sleep in months, following treatments with this technology. 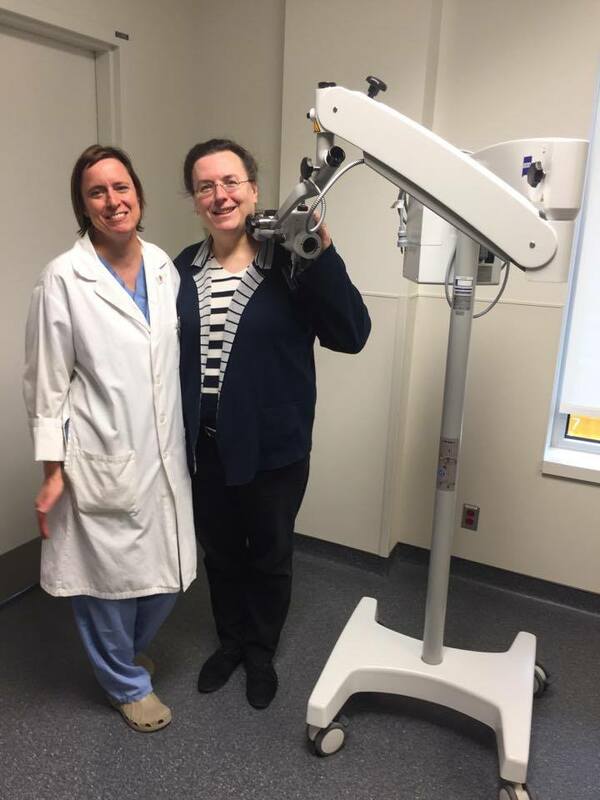 Our new ophthalmological scanner is one of the single most important pieces of ophthalmological equipment that we have acquired in the last thirty years. This has revolutionized the way we see the retina, which is where we encounter most of the main causes of significant visual loss. It helps us to visualize the optic nerve in a totally different way, an essential part of glaucoma management. As such, macular degeneration, diabetic eye disease and glaucoma, the three most common and significant ocular diseases apart from cataracts, can be diagnosed more accurately and treated more efficiently than ever before. It also enables us to serve our people right here in the region. On a typical week I alone use this machine to treat at least ten patients here in the region (and these involve regular repeat treatments) who would previously have had to travel to Montreal or Sherbrooke for the same treatment. This has totally changed our practice. 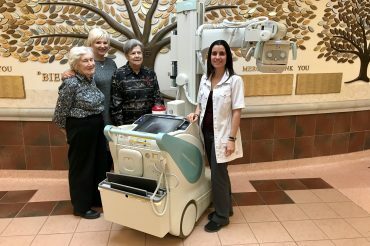 Our Mammography department has undergone a tremendous upgrade in the last year. Now situated in a new location, it has a state-of-the-art digital mammography unit, and biopsy table and capabilities. This technology permits us to detect and analyse lesions much earlier, and with greater clarity. It also means we can perform more of the required biopsies immediately, right here at the BMP. The sooner we learn of these conditions, the earlier we can treat them. That makes the subsequent treatment easier for the client, and certainly improves the odds in the client’s favour. Our new Emergency unit is a major improvement for both patients and caregivers. The overall layout is far superior, and the Reanimation rooms in particular are spacious, open, with all equipment immediately accessible. For patients, the Observation cubicles offer more space, more privacy, more intimacy and better infection control. And all patients can be seen and visually monitored at all times. Other improvements include added examining rooms, specialized facilities for decontamination, aggressive situations etc. It is a major improvement throughout.